The ride starts from the University of Puget Sound fountain (N 15th and Lawrence) at 11am. 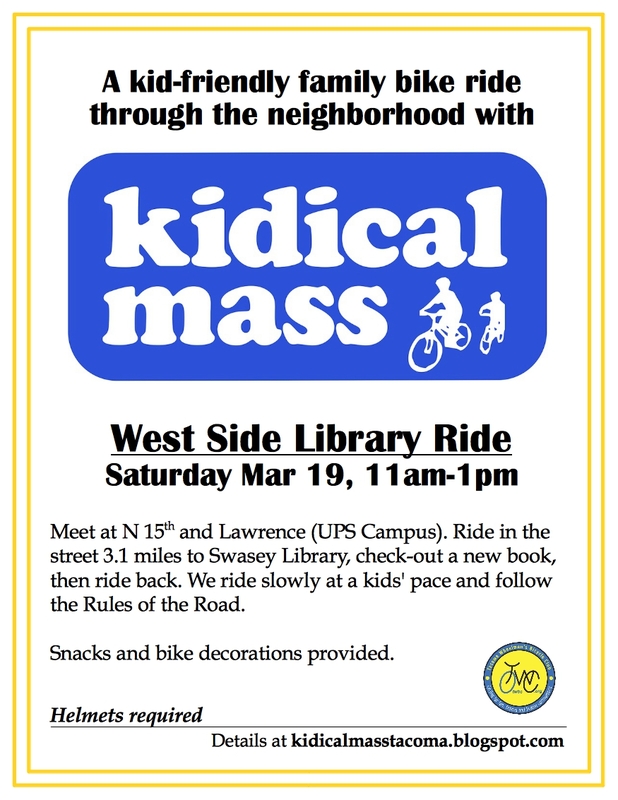 We will ride in the street 3.1 miles to the Swasey Library, stopping to pick-out a few books. 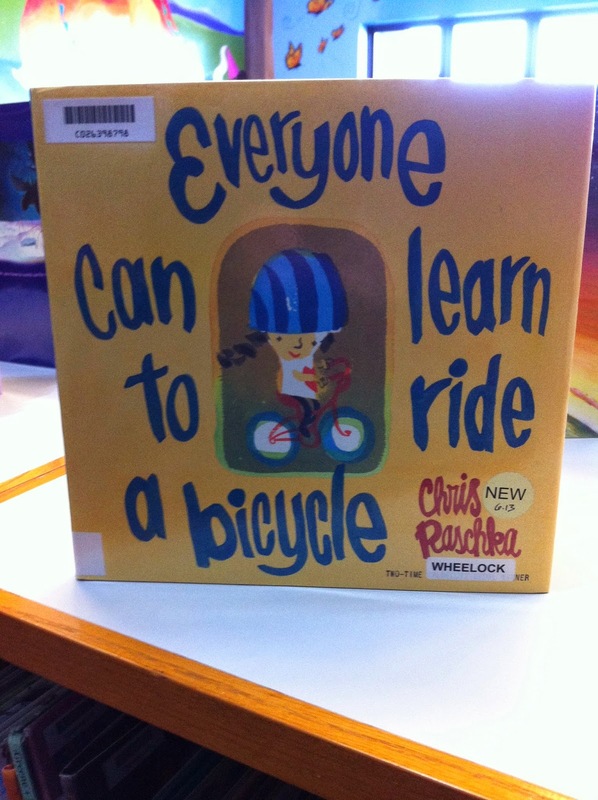 Bring your library card and a bike lock! 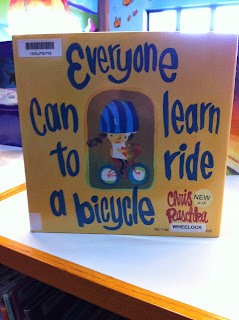 Then we'll ride back for a snack at the end, and maybe an optional post-ride lunch along 6th Ave.
We ride slowly at a kids' pace and follow the Rules of the Road, regrouping as needed. 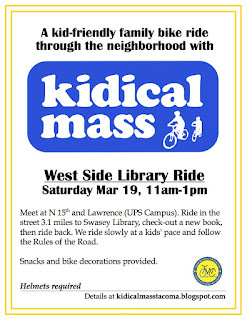 Snacks and bike decorations provided. Helmets are required for all riders. This ride is a bit longer than some of our usual rides, so plan accordingly. RSVP on Facebook.